My recent inactivity here and elsewhere is a result of continuing family troubles. These concern my elderly parents, both of whom have been struggling with their health. I am able to post this because I've returned home for an overnight stay to remind Sheila and the kids of my continuing existence. I'll be heading back down the M4 tomorrow and I don't know when normal blogging service will be restored. What I do know is that I'm learning at first hand things about medicine, the mind and the National Health Service that I'd only read and heard about before. Let's just say it's already been a voyage of discovery and it looks like I've still quite a way to go. So I was cruising down Stoke Newington Church Street on Friday night - with the brood en route to ten-pin bowling, since you ask - and went past the now former Vortex jazz club which is presently occupied by protesters enraged by the venue's new owner's cunning plan to, apparently, redevelop the building as a bunch of luxury flats. This reminded me to link to Stoke Newington Kris's several posts on the mini-saga, which seem to reveal a certain conflict of local opinion about which is the worse, the prospect of the developer getting his own way or the late-night racket made by those bent on stopping him - a sadly familiar irony in the recent history of struggles over Hackney properties and community concern. If you're not already aware of Chris Eubank's sensational success in recruiting royalist sentiment to the anti-war cause, read about it here and savour The Spine's assessment here. Top toff or what? Displeased by warfare? Fond of Finnish architecture? Soft on Space Invaders? In London and at a loose end? City Slicker offers a programme of events. "Britain and the US have no responsibility for the mayhem in Iraq now, because only the killers themselves are responsible for that. The invasion has not made the world more dangerous; the war is simply used by terrorists as an excuse. When Humphrys said that Iraq had enabled the terrorists to recruit more followers, Blair effortlessly ducked the point, sticking to the 'excuse' line, which he unspools with ease." Jonathan went on to liken the interview to "watching a world-class illusionist create an alternative reality before your eyes." I know what he means. And maybe there's something more depressing still. Blair's recourse to that "'excuse' line" provides miserable proof of his embrace of a right-wing analysis of why things happen in the world. His refusal to accept that the invasion of Iraq and its aftermath created the conditions for the subsequent bloodbath is exactly the same mechanism of denial deployed by those who put the blame for crime solely on the personal, moral failures of individual criminals. Any suggestion that certain material, family and environmental circumstances might contribute to some people choosing to engage in some sorts of crime and that, therefore, those sorts of crime might be less prevalent should those circumstances be improved, is immediately derided as "excusing" the criminals concerned and branded "soft." It is, of course, no such thing. Rather, it is an attempt to get an intellectual grasp on why some people commit certain crimes in the first place and, therefore, to find ways of reducing their incidence. It recognises the need to be "tough" on social conditions that can foster criminal conduct at the same time as being effective in apprehending those who engage in it. We all know who used to believe in that combination. But now his moral vacuum of a Home Secretary ridicules the Conservative leader for being "soft" on gun killers while Blair himself talks a fantasy "tough" line on terrorism in Iraq while utterly refusing to acknowledge that he is one of the causes of it. Yet again, "New" Labour positions itself to the right of the Tories. Is this borne of vanity, stupidity or some wonkish political strategy? Whichever, it is now impossible to take them seriously. Yes, I know it's Thursday. But a day late is better than never and I wouldn't have thought of this album sleeve had I not been away in the town where I grew up and whilst there remembering, as I always do, how desperately important music was to me when I was a child. I had an ambivalent relationship with early reggae: I liked the sound but not the hardnuts who claimed it for themselves. It was only later, after I'd left home and when reggae had changed and intersected with punk, that I was able to separate the older style songs from their erstwhile bovver boy associations and hear their humour, soul and pathos clearly. A new context gave the music a new meaning. I'd known the title track of "Monkey Man" since my first year at primary school but I only bought my copy of the album at the end of my teens - by then I could make it and The Maytals belong to me. Not sure if those jumpers helped or hindered the process. But Toots Hibbert's voice may just have had something to do with it. He is Jamaica's Otis Redding, and he's still going strong. I won't be posting for a few days due to being away on urgent family business. Back later in the week though, I hope. "All the witnesses were positive about the multicultural nature...of this particular part of the borough, an area where the witnesses lived and worked. The real concern was about the way this particular club was being operated." "...portrayed themselves as being professionals within the club industry - however having heard them both give evidence I concluded that both fell far below what would expect of individuals and organisations responsible for commercial activity of this sort." The judge documented a variety of failings. The most worrying, though, was the lack of co-operation provided by the club to the police. It was initially closed following a murder almost literally on its doorstep on 2nd January last year at a time when its doors were open. The detective investigating this still unsolved case gave evidence that he'd received almost no help at all from the proprietor or his staff. The officer responsible for licensing produced a long list of incidents that had happened in the club or its vicinity during its business hours, ranging from bomb threats to brawls to stabbings and other killings. He said that those running the club had offered little help with subsequent inquiries. For his part, the judge accepted that any member of the public, club owner or otherwise, might think twice about providing information to the police where gun crime is concerned. His ultimate conclusion, though, was that the sloppy running of the club was wholly inconsistent with its owner's responsibility to help prevent crime and disorder. That seems fair enough to me and the outcome is a tribute to the combined efforts of residents, Hackney's legal officers, Labour councillor Ian Rathbone and the police. The club had become a magnet for antisocial behaviour of every kind and, as such, had effectively institutionalised it. That can never be acceptable. But, course, no one ever claimed that the lights going out at the Palace Pavilion would mean the end of shootings in our neighbourhood. And if they had, they'd already have found out they were wrong. Our house is overrun with origami frogs. Fifthborn has constructed a great, hopping knot* of them from sheets of pale yellow paper, following instructions from a book kindly given him by Sixthborn's best friend's mum when he was recovering from all that birthday weekend vomiting. Now there are origami frogs everywhere, sometimes arranged in complex military formations, sometimes gathered in a decadent heap on Fifthborn's bedside table, sometimes engaged in long-distance races down the hall which have to be suspended halfway through because it's time to go to school. When the latter occurs I am given a stern warning not to step on any of the origami frogs en route to the front room or to allow their positions to be disturbed by breeze from the front doorway when I go out. These instructions need to be taken very seriously because Fifthborn remembers everything. To me, every pale yellow orgami frog looks much like all the others, but to Fifthborn each is a distinct individual about whom he has compiled a detailed dossier listing personality traits, individual strengths and weakness and performance data relating to a series of athletic and intellectual tasks. The demands on everyday life made by these origami frogs has, you'll have gathered, been substantial and, at times, exacting. I may yet retaliate by deliberately failing to return to Sixthborn's best friend's mum the very attractive Tupperware-style container she mistakenly left here recently. 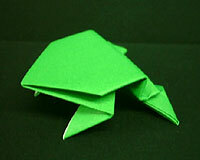 However, the emotion stirred in me most strongly by the invasion of the origami frogs has been melancholy nostalgia. I never went in for origami as a child - martial arts have never been my thing, boom boom! - but I was every bit as keen on disappearing into deeply private fantasy worlds based, in my case, on Subbuteo leagues or Smarties tube top Olympics or tiddly-wink Grand Nationals, the outcomes of all these events meticulously documented on a tatty typewriter and stored in loose-leaf binders for posterity. Seeing Fifthborn so absorbed in similar types of activity affects me quite powerfully, though whether I am gratified more than I am perturbed is hard to say. Do I want him to turn out just like me? Not sure I'd recommend it, actually. "There is a kernel of truth in the idea that a valuable part of the liberal heritage has been lost, but it is not any doctrine of rights that we need to revive. It is something much more prosaic — the old-fashioned practice of tolerance. In any imaginable society we will have to put up with many things we reject as false or bad. When society is as plural as it is today, nearly everyone will find much in it that is distasteful and even hateful. In these circumstances, the virtue of tolerance is needed more than ever. Yet curiously it has fallen into disrepute and been replaced by a cult of rights, with the result that conflicts of values are now fought out as competing legal claims. The trouble is that serious differences are rarely resolved by such procedures. If people have very different beliefs about the good life, they are likely also to have different views of human rights. Rights are far from being as easily defined as contemporary liberals like to think, and — as when free expression collides with protection from hate speech — they quite often conflict with one another. 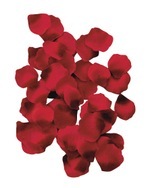 Turning moral conflicts into clashes of rights makes them even harder to resolve, for it prevents compromise."